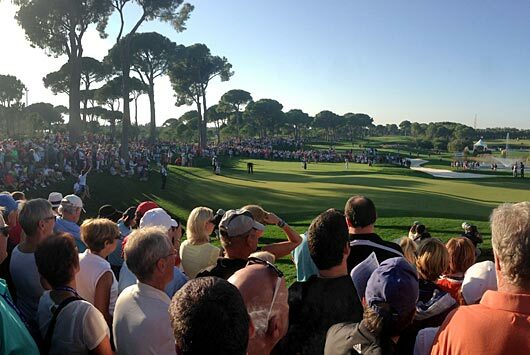 This is a little bit of a belated blog as I have spent the past few weeks travelling but the highlight of these trips was definitely being in Turkey for the inaugural Turkish Open. It really was very cool seeing the pros, including a certain Tiger Woods, playing on a golf course that we had designed. It was, however, a little strange standing on the 18th on the Sunday afternoon surrounded by thousands of spectators and remembering when a small group of us first visited this lovely site which, at the time, was just a ministry of agriculture pine forest and exploring every part of it without seeing another person. 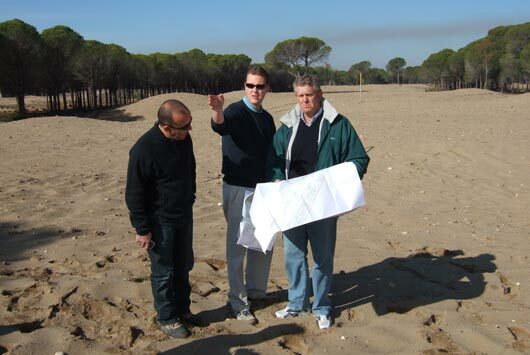 If memory serves me correctly it was a little over seven years ago that we began the process of creating the Montgomerie Maxx Royal Golf Course. While there wasn’t much there but pine trees and sand it was clear that this was a very special site, but it wasn’t without its challenges. Being so close to the sea the ground water table was only just below the surface which made building the course pretty challenging at times and resulted in us having to lift all the playing surfaces to ensure they would drain. Also, during construction some of the particularly wet areas would without warning turn to quicksand and on one site visit all of us (including Monty) ended up in one of these wet pits – I believe there is still a pair of Colin’s trainers buried somewhere under the 4th hole! Thankfully we all escaped and were able to complete the construction of the course in just 18 months ready for opening in 2008. Originally when we designed we didn’t expect it to host a tournament on the scale of this year’s event but based on the nice feedback we have received over the past couple of weeks it seems to have passed its first test with flying colours. 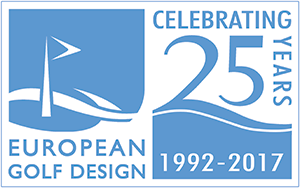 So all being well we are looking forward to returning next Autumn when the course is once again due to play host to the European Tour elite competing for the Turkish Open title.